We are the Board that governs the Oklahoma City and South Region Council of Catholic Women. We work together to bring the programs and projects from the National Council to the affiliate parishes. The Archdiocese of Oklahoma City is currently split into two regions the Central and South regions. We often collaborate with the Diocese of Tulsa Council of Catholic Women, their have own board. March 16: ACCW Women of Faith/Women of Action 2019 Lenten Retreat with Teresa Tomeo. You have given us Mary, Mother of Jesus, to be our guide and counselor. intercede for us that we may be wise, courageous and loving leaders of the Church. 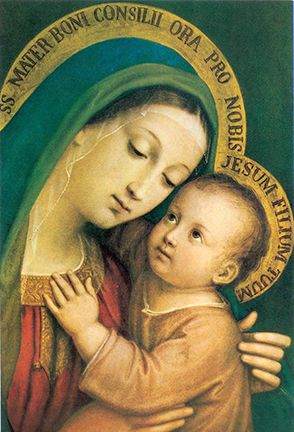 Help us, dear Mother, to know the mind of Jesus, your son. and may God’s gifts of faith and living hope prepare us for the fullness of the world to come.